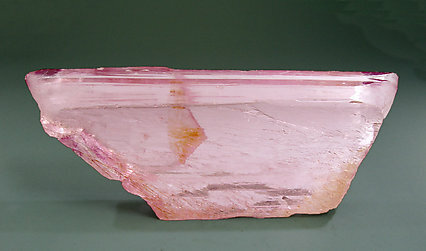 Doubly terminated crystal, a floater, with excellent color, luster and transparency and abundant figures of growth on the main faces. On the collection record it’s noted as acquired in Zürich from Arthur Sulzbach, September 1961. 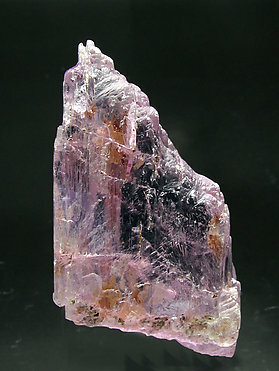 Floater crystal with complexly grooved surface typical of Spodumene. The color and transparency are magnificent. 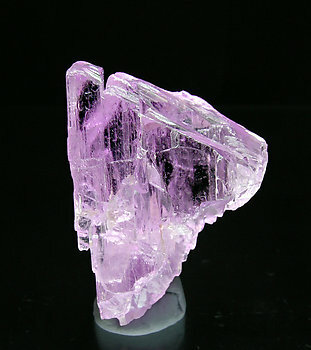 The crystal has excellent color, is quite transparent and has very well- defined faces. A small area in the center where there was a contact does not detract from the attractiveness of this quite large specimen. From the David Lucas collection (no. 218) and it comes with his label. 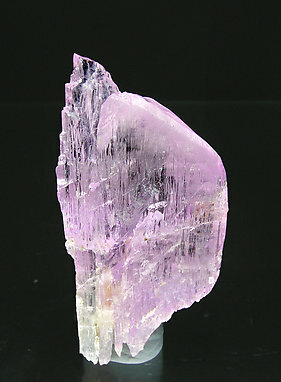 Floater and doubly terminated Spodumene crystal with multiple terminations at both ends. 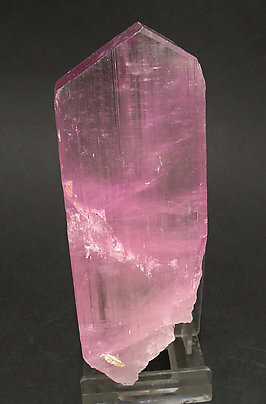 Pink color, with a strong dichroism. Floater doubly terminated crystal with rounded terminations. The color is good and especially intense on the extremities of the crystal. Floater doubly terminated crystal with dissolution forms and anomaly growths. Its color is exceptionally intense. The original label notes that the specimen was sold to Sr. Folch by Mr. Bouest (or Bouert), from Los Angeles, October 1962. 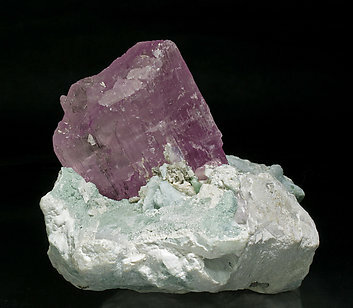 Floater parallel pair of doubly-terminated Spodumene (kunzite variety) crystals with very sharp faces and edges, between translucent and transparent, with an intense color and with an associated small group of white Albite crystals. 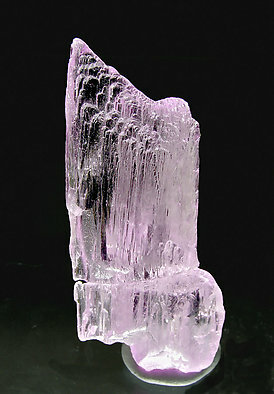 Isolated crystal of Spodumene (Kunzite variety), on Albite matrix. The faces and edges of the prism are very well defined and the termination of the crystal is typically polycrystalline and rough. 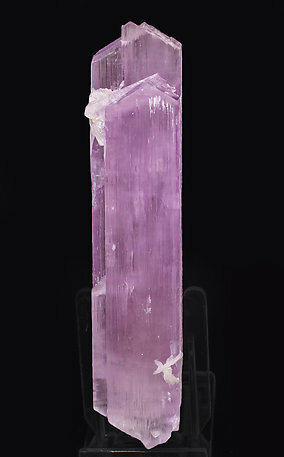 The Kunzite is very bright and shows an especially dense and uniform color. We note that samples of Spodumene on matrix are quite unusual.